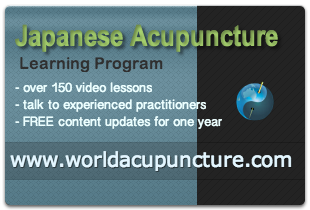 You are here: Home / Videos / How Can Acupuncture Relieve Hay Fever? How Can Acupuncture Relieve Hay Fever? It is an appro­pri­ate time to talk about acu­punc­ture and hay fever as Spring has just star­ted in Brisbane. A couple of things occur in Spring – we have many of the trees com­ing into blos­som and we have those infam­ous north­erly winds here in South East Queensland. The com­bin­a­tion of these two envir­on­ment­al factors is enough to “stir the pot” of the har­di­est indi­vidu­al. However, those of us who are already pre­dis­posed towards irrit­a­tion of the mucos­al lin­ings, the sinuses and also the res­pir­at­ory sys­tem itself, respond in quite a vir­u­lent man­ner. It takes months for the blos­soms to settle down and for the winds to stop blow­ing from the inland. When the sea breezes arrive there is less poten­tial or pos­sib­il­ity of the blos­soms blow­ing through the air. Why does hay fever occur? It is a com­bin­a­tion of factors – it’s a con­sti­tu­tion­al pre­dis­pos­i­tion. Certainly some people will tend to suf­fer more than oth­ers from con­di­tions like hay fever. There are also life­style factors. In some cases, we may be con­sum­ing sub­stances on a daily basis with­in our diet that will cause con­stant irrit­a­tion of the mucos­al lin­ing of the body, includ­ing the sinuses, the digest­ive sys­tem and the res­pir­at­ory sys­tem. If that con­tinu­ous irrit­a­tion is present then the like­li­hood of suf­fer­ing from hay fever attacks increases pro­por­tion­ally because there is already irrit­a­tion of the mucos­al lin­ing, espe­cially in the sinuses and res­pir­at­ory sys­tem. How does acu­punc­ture help to relive hay fever? Again, the beauty of the applic­a­tion of tra­di­tion­al East Asian medi­cine is that we are draw­ing on the wis­dom of many cen­tur­ies of exper­i­ence in deal­ing with things like hay fever and many oth­er com­mon health con­di­tions that are not exclus­ively mod­ern phe­nom­ena. So in East Asian medi­cine there have been a lot of strategies that were developed and evolved over thou­sands of years to help people that suffered from these con­di­tions, spe­cific­ally from hay fever. We have an ameli­or­ated scen­ario in the West, espe­cially in South East Queensland, in that our sea­sons are not quite as marked as else­where. Here in Brisbane, Queensland, the sea­sons tend to role into each oth­er a little. The sea­sons are very marked in the Northern Hemisphere, in par­tic­u­lar, in a cli­mate like Japan or China where there are def­in­itely four clear sea­sons – Spring, Summer, Autumn & Winter. So the expert­ise in East Asian medi­cine in the treat­ment with acu­punc­ture of con­di­tions like hay fever, is very deep and very thor­ough. Clinically, I’ve had great suc­cess in work­ing with people who have suffered from hay fever and res­pir­at­ory prob­lems as a res­ult of envir­on­ment­al stim­u­la­tion. The acu­punc­ture works both from an anti-inflam­mat­ory per­spect­ive and also from strength­en­ing the immune sys­tem so that sys­tem itself is not so sub­ject to the irrit­a­tion that comes with the blos­soms and the north­erly winds. If you are suf­fer­ing from hay fever, do vis­it us at the Brisbane Acupuncture Clinic so that you can gain relief from this de-ener­gising con­di­tion.